Surrender at 20: Mid-Season Magic - Mage updates, itemization changes, Elemental Dragons, and much more! Mid-Season Magic - Mage updates, itemization changes, Elemental Dragons, and much more! A massive set of Mid-Season changes are hitting the PBE, including several mage updates, mage item changes, the introduction of Elemental and Elder Dragons, Rift Herald and Turret changes, and much more! Continue reading for more information, including additional context on Dragon & objective changes, discussion threads for each of the larger mage updates, and more! First up we have the Mid-Season Magic page, complete with an overview of the mage changes, mage oriented itemization changes, and introduction to the new Elemental and Elder dragons! "As we witness the best teams in the world duke it out for international fame and fortune, the mid-season intermission that follows is about all of us taking a deep breath and reflecting on how far we've come and how far we have to go. This mid-season, significant updates will be rolled out to our most magical roster of champions, sorcerous new items will be introduced, and the elemental dragons are taking flight. How do my enemies want to win, and how do I stop it? Now, more than ever, League is about playing your opponent as you play the game. Mages are one of League’s most established classes but, over the years, their strategic identities have become muddied and their gameplay hasn’t kept up with evolving standards. Much like our work on the juggernauts and marksmen, we saw the opportunity to update a ‘roster’ of champions to ensure the class as a whole is relevant and satisfying to play. Ultimately our goal is to bring distinction, cohesion and, yes, game health to the mages, giving them a unique reason to be picked. This mid-season, the mages are taking center-stage! Malzahar is still a low-mobility lockdown mage, but now he's got more friends from the void to protect him. The Prophet's also amping up his ability to get close during teamfights thanks to his new passive, Void Shift. Malzahar opens two portals to the Void that fire projectiles inward, dealing magic damage and silencing enemies. Malzahar summons a Voidling that lasts for a set period of time. The first time a Voidling attacks a champion, large monster, epic monster, or assists in killing a unit, Malzahar spawns a new Voidling with the same remaining duration. When three or more Voidlings are active, they all gain bonus attack speed. Brand's mid-season changes are about lighting the whole world on fire. He'll have a harder time nuking lone targets, but when enemies huddle together for safety, it's time for the Burning Vengeance to blow them up. Brand's spells light his targets ablaze, dealing a percentage of their maximum health as magic damage over time. On the third stack, the Blaze becomes unstable over a few seconds and detonates, dealing a large percentage of the target's maximum health in an area-of-effect. Brand launches a ball of fire forward that deals magic damage. If the target is ablaze, Sear will stun the target. After a short delay, Brand creates a pillar of flame at a target location, dealing magic damage to enemy units within the area. Units that are ablaze take an additional 25% damage. Brand unleashes a devastating torrent of fire, dealing magic damage each time it bounces. 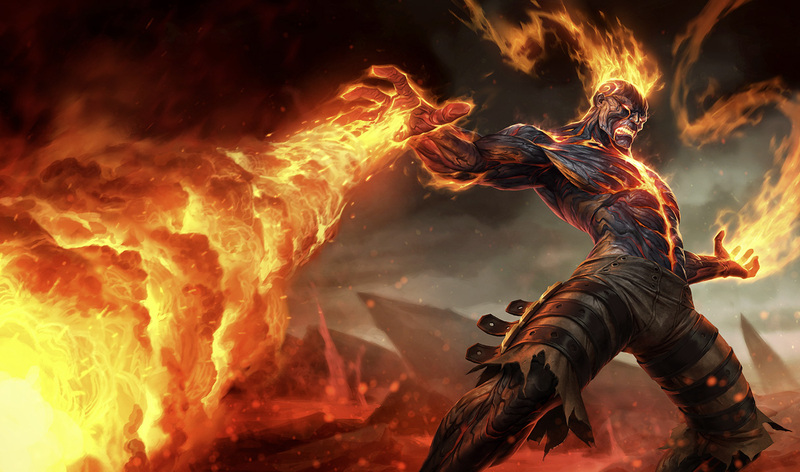 If a target is ablaze, Pyroclasm will prioritize champions for the next bounce. Blaze now briefly slows enemies it hits. Vladimir's still the sustain-focused blood mage, but we're dialing up his ability to tap into health to wreak havoc. Every point of bonus Health gives Vladimir Ability Power, and every point of Ability Power gives Vladimir bonus Health (does not stack with itself). Vladimir drains life from his target. After casting Transfusion twice, Vladimir gains Crimson Rush for a few seconds the next time Transfusion is available to cast, granting him bonus movement speed and bonus damage. Vladimir sinks into a pool of blood, becoming untargetable for a couple seconds. Additionally, enemies in the pool are slowed and Vladimir siphons life from them. Vladimir charges up a reservoir of blood, paying a large portion of his maximum health over a period of time to increase Tides of Blood's damage. On release, or after a couple seconds, Vladimir unleashes a sphere of blood, dealing magic damage. At full charge, Tides of Blood slows Vladimir while he holds it, and will briefly slow targets by when he releases it. Vladimir infects an area with a virulent plague. Affected enemies take increased damage for the duration. Hemoplague deals additional magic damage after a few seconds to infected enemies and heals Vladimir for each enemy hit. Zyra is the control mage with the greenest thumb in League, and her new passive lets her spread even more flora across the Rift. Give Zyra a little time to tend to her thorny forest, and she'll have abundant opportunities to counter-engage on attackers. Seeds spawn around Zyra periodically, becoming faster with level and lasting a long period of time (with a maximum number of seeds planted). If an enemy Champion steps on a seed, the seed dies. 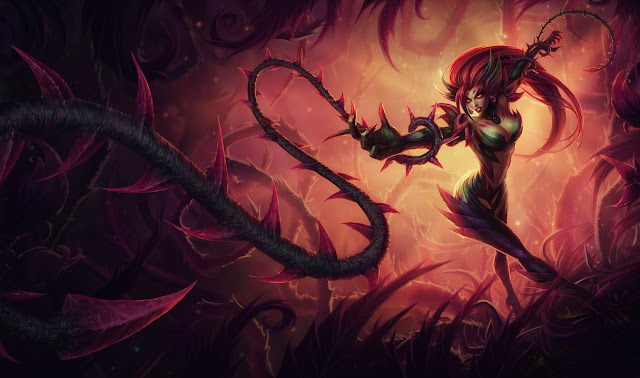 If Zyra casts Deadly Spines or Grasping Roots near seeds, she grows plants. Extra plants striking the same target deal less damage. Zyra grows a bed of spines at the target location. After a brief delay, it explodes, launching damaging thorns at all nearby enemies. If cast upon a seed, Deadly Spines grows a Thorn Spitter plant, which fires at enemies from afar. Zyra plants a seed. Other spells cast on seeds will turn them into plants, which fight for Zyra. Rampant Growth passively increases plant maximum health. Zyra sends forth vines through the ground to ensnare her target, dealing magic damage and rooting enemies they come across. If cast upon a seed, Grasping Roots grows a Vine Lasher, whose short range attacks reduce enemy movement speed. Zyra summons a twisted thicket at her target location, dealing damage to enemies as it expands and knocking them airborne as it contracts. Plants within the thicket are enraged, dealing bonus damage. Vel'Koz is the monster of choice when you need long-range poke damage or... a true-damage laser beam! Melt their frontline, then obliterate their backline. Vel'Koz's spells build Organic Deconstruction stacks on enemies. The third spell hit consumes the stacks and deals bonus true damage. This true damage scales with level and ability power. Vel'Koz shoots a bolt of plasma that splits in two on reactivation or upon hitting an enemy. The bolt slows and deals magic damage on hit. Plasma Fission refunds half its mana cost if it kills a unit, and the target indicator now only displays for Vel'Koz. Vel'Koz opens a rift to the void that deals an initial burst of magic damage, then explodes for a second burst of damage after a delay. Vel'Koz unleashes a channelled beam that follows the cursor for 2.5 seconds that deals damage and slows enemies. All enemies that are deconstructed become researched. Lifeform Disintegration Ray deals true damage to researched champions, but no longer deconstructs enemies. When the enemy team is fleet of foot, Cassiopeia is the serpent to call. With Cass, we're introducing an entirely new type of debilitation—"Grounded"—that negates an enemy's ability to flash, dash, or even take a friendly Thresh lantern to safety for the duration of the debuff. Cassiopeia gains movement speed per level. This does not stack with movement speed from Boots items. Cassiopeia spews venom in an arc in front of her, leaving toxic clouds on the ground. Enemies in the clouds are continually afflicted with debilitating poison, slowing them and grounding them, prohibiting the use of movement abilities. They also take damage per second. Cassiopeia lets loose a damaging attack at her target, healing her in the process. If poisoned, the target takes additional damage. If the target dies, Cassiopeia regains mana. 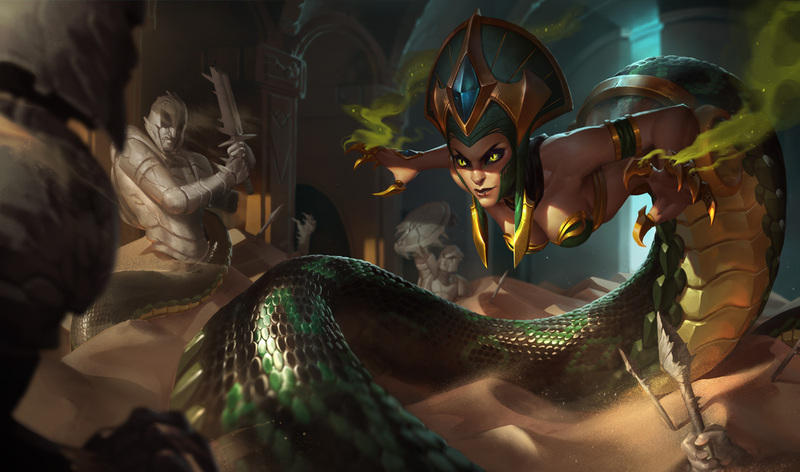 Cassiopeia releases a swirl of magical energy from her eyes, stunning any enemies in front of her if they're facing her and slowing those with their backs turned. Tibbers now viciously mauls Annie's stunned targets. Decrepify now sends Beatrice to a targeted location to cripple enemies. A new passive means if Fiddlesticks stands still for a moment, he'll gain a movement speed boost. Satchel Charge will execute turrets when they're under a certain amount of health. An updated passive allows Syndra to spawn—and pick up—more Dark Spheres! Barrages that successfully hit enemy champions grant an extra barrage, up to a maximum. Gains more barrages as he ranks up Rite of the Arcane. Glacial Storm now expands over time and deals bonus damage at maximum size. A new passive grants Veigar Extreme Evil (Ability Power) for hitting enemy champions with spells, killing minions, and takedowns. Hand-in-hand with the mage update, their sorcerous apparatus are undergoing a bewitching transformation. Before, mages would turn to items just for the stats they need, with minor changes in their build path as a game unfolds. Now mage items are focused on their tactical impact, with each enabling or augmenting how a mage contributes to a fight. Choose how your power manifests and watch what your opponents do in kind. We saw that early to mid objectives (aside from turrets) were struggling to stay relevant in many games, and so began investigating ways to augment those decisions during mid-season. When we came to Dragon, we realized that most individual buffs would simply shift its balance back and forth between “nice to have” and “mandatory,” so we instead set out to create a unique ecosystem of adaptation that augments a variety of team compositions and strategies. The elemental dragons are taking flight! For the first 35 minutes of the game, one of four elemental dragons will spawn. The moment you take that one down, the minimap will indicate the elemental type of the next. Both sides will always know which dragon spawns next, and multiple elemental buffs will stack on each other, making you even stronger in that aspect. In this way, you may want to think twice about giving up those two Earth Dragons—that might just cost you all of your base turrets! Increases health and mana regeneration. Augments your ability to siege and poke. After 35 minutes into the game, all future dragon spawns become Elder Dragon spawns. The Elder Dragon far more difficult to kill than his elemental counterparts, but taking him out grants a powerful burn-over-time on spells and attacks and a buff that is stronger for each elemental stack you have. Here's Riot GMang with a rundown of objective changes coming in mid season, including Rift Herald, Blue and Red Buff, Turrets, and more! 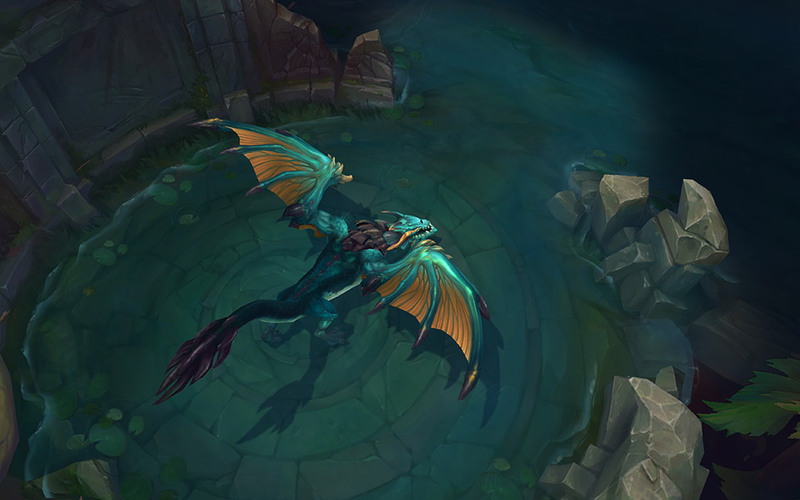 We’re pushing to make Rift Herald a more unique and meaningful objective for those looking to dominate the top half of the map. 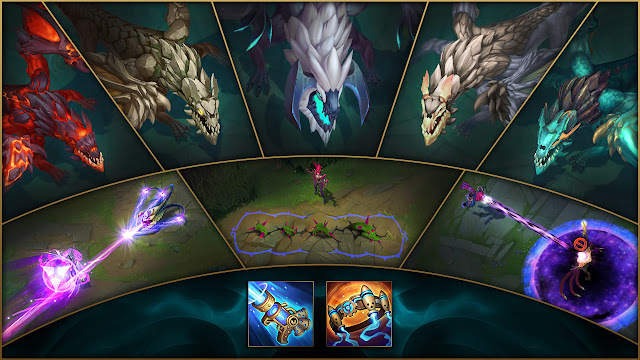 This new Rift Herald should be a more contestable objective with a clearer purpose: long-term selfish power for one team member - especially a lone-wolf or split push character. 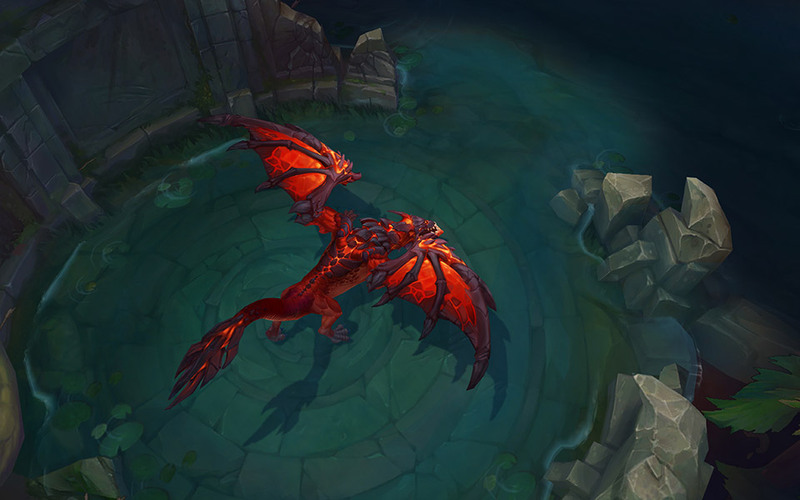 Here's Meddler with additional context on the dragon changes, including the introduction of the elemental dragons and the fearsome Elder dragon! Our mid season initial rundown’s just gone out (http://na.leagueoflegends.com/en/featured/mid-season-magic ) and the changes should start hitting the PBE in the next couple of days. One thing we wanted to talk about in more detail was the elemental dragons. One of the skills we believe is important to LoL is responding to varied situations (e.g. enemy team comp, unexpected jungler appearances etc). Our intent is to use different dragon buffs, and to a lesser extent, dragon encounters, to also create situations each team can adapt to and take advantage of. If that’s not happening, in particular if it feels like which dragons spawn is too decisive by itself, then we’ll look to fix that. Instead of the current 5-buff dragon system, we’re changing it to 4 different types of elemental dragons, each of which gives a different buff. The types and order of elemental dragon spawn are randomized (with some restrictions) and it’s possible to get multiple stacks of one element (e.g. 2 air dragon kills gives more movement speed than 1 air dragon kill). After 35 minutes, the dragons are replaced by an elder dragon, who gives a consistent buff of his own and amplifies existing buffs when killed. We had multiple goals when updating dragon. Increase the average value of dragon so it's more appealing to contest it (drives early conflict in particular) without making it a must do as soon as possible every game. Introduce more game-to-game variation. We want to create different situations to respond to, with the feeling that games are more meaningfully different from each other. There should be different strategic situations to understand and respond to and handling that well is we believe a core skill in LoL. Create additional opportunities to play around dragon as an objective in interesting ways. Different buffs giving different types of power should lead to teams making somewhat different decisions on a game-to-game basis, depending on which dragons they want, which they get, what their opponents have, etc. With a single line of buffs as a reward (or gold), we’re seeing that game states can become very linear, with both teams generally vying for the same objectives again and again. Having a more diverse set of buffs means teams can also mix up their approach to each game. Air supports split push/rotation play or gives defense against it, water supports poking and gives defense against it, fire adds direct combat power, earth enables easier objective taking. A game where your team has two air buffs and the enemy has two fire buffs, for example, should sometimes feel noticeably different. The dragon encounter itself being slightly different per dragon should sometimes create situations where you approach the fight differently, in particular when it is, or could be, a contested dragon. The water dragon, for example, has attacks that slow movement speed, making it harder to disengage from a dragon attempt, while the earth dragon’s tougher than the others, so will be a longer fight. While developing these changes there were some other issues we worked to avoid/will continue to avoid or fix in future development. The buffs are designed to be appealing to both teams, even if the two are running really different comps. Water, for example, gives poke comps mana to poke harder, or their opponents health regen to resist poke. The exact value of a buff will vary team to team, like blue buff or baron, but it should never feel like dragons spawn are extremely appealing to one team and not worth taking for the other. The Elder Dragon buff also offers universally valued power, both from itself and prior buffs collected, regardless of element. Differences in the dragon fight don't fundamentally change your ability to do the fight in the first place. You won't end up unable to do dragon because you didn't pick the right type of jungler in champ select, for example. Instead, the different dragon combat patterns may influence how you tactically approach a fight, mainly in cases of a contested dragon. We also wanted to ensure that the dragon system felt fairly intuitive and strongly wanted to avoid it getting highly complex. To do that we looked at a couple of things. Elemental theming of the buffs and the dragons themselves should feel natural (e.g. fire dragon increases damage, air dragon gives speed and itself moves faster, etc). Finally we also wanted to make the power dragon offers a bit more appreciable. Power’s therefore shown in more visible ways (e.g. true damage against towers/epic monsters from earth to make it easier to track damage added, versus the prior % amp that got rolled in with all other damage). The way the stacking model results in bonuses sometimes being doubled or tripled down on also concentrates power, making it much more noticeable in some games at least. Hopefully this gives some useful context on what we’re trying to do and while. If you’d like to discuss further please do throw questions in here, would love to talk about this stuff whenever time permits, particularly during the next couple of days as stuff hits the PBE." Will these elemental dragons have unique abilities? "We're looking to avoid teams being randomly favored/disfavored with the design of the buffs. Your Air Dragon example is actually a really good one for this. You haven't necessarily hit the lottery if Air Dragon spawns and your comp relies on movement speed initiation. You've hit the lottery if you have that comp and you successfully control Air Dragon - if you claim the buff. Out of combat movement speed is great for a team that relies on movement speed initiation, but it's also great for avoiding getting initiated on by that kind of team - if the Air Dragon spawns and the other team gets it, that could be a disaster for you. By picking a movement speed initiation team, you've increased the value of Air Dragon for both teams, not just your own team. 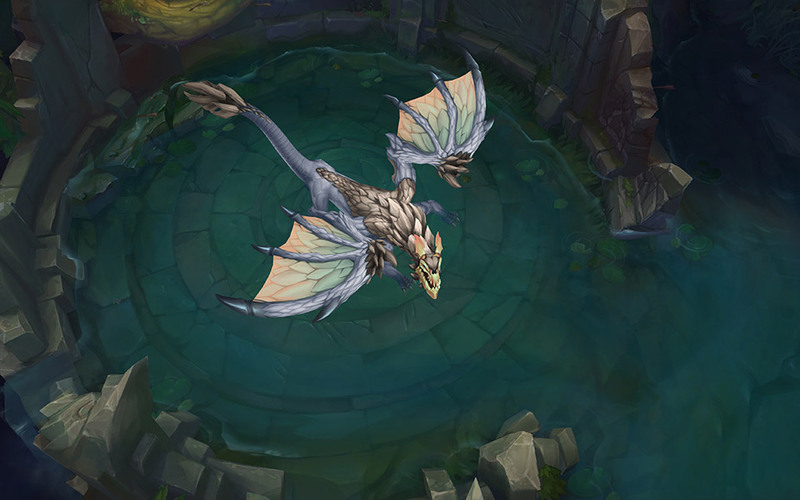 The other example that we've tossed around a lot is Water Dragon being great for poke comps. That's true; it is, if you can get it. It's also great for fighting against poke comps because of the health regen. By picking a poke comp, you make Water Dragon more valuable to both teams, not just your own team. " I wanna know if the dragon buffs will stack, like they did before, or will one buff replace another? Stacking. So you could have one fire, one water and one earth buff. Or two fire. Or three air. In any given game only three of the elemental types will ever spawn as well, both to create more cases of multiple stacks of a buff and to give some degree of predictability to the system (once you've seen three types you know the fourth isn't coming)." "They stack up to three times, getting more powerful at higher stacks, and they can spawn back to back (to back)." And this is the problem. Given a certain team comp, a certain element may be highly valuable to both teams, and if that particular dragon spawns at a time convenient for one team, then that team just got lucky. Even if the other team got all other dragons, the valuable dragon could spawn when the other team is set up for it. Hence the RNG concerns. We communicate the next Dragon to spawn in game from the moment the previous Dragon dies, so you'll always have 6 minutes to prepare." will the elemental dragon despawn at 34:45 like rift herald? will it remain on the field longer if it is currently being attempted? Elder Dragon won't replace an existing elemental dragon. It'll instead be the next thing to spawn once a dragon's been killed after 35 minutes. Expectation isn't that Elder Dragon will be an every game thing, in the same way that Dragon 5 isn't an every game thing at present. If it's too rare though we'll look at pulling that spawn time forwards a bit." 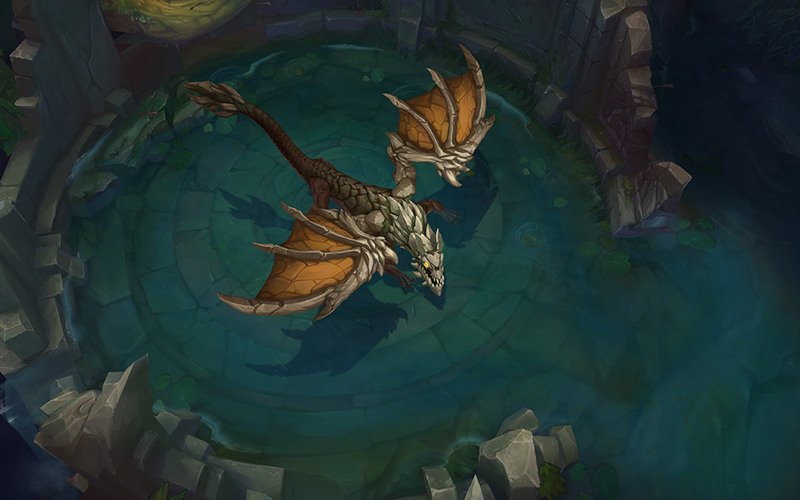 Meddler also noted the Elder Dragon has a respawn time of 10 minutes. Jungling XP's getting adjusted. In particular Machete now gives more XP, including the catch up XP if you're lower level than the monsters themselves. That's a change targeted primarily at how safe and effective buddy jungling is in organized play. Tower damage will now ramp up quicker against champions and will maintain it's ramped state when swapping between multiple champions. Agro juggling during a dive should still be a good play some of the time, but riskier at low levels in particular. Boot enchants are getting removed. After making Homeguard a universal effect post 20 minutes we wanted to see how the boot enchant system played out. One of the main consequences has been Alacrity on a lot of champions, which as lead to noticeably higher average movement speeds. That throws off balance on a number of things, skillshots and ground targeted AOEs in particular, so we'd like to get average speeds back to a more appropriate spot. Removing boot enchants, now that the most impactful and significant is always provided, was one of the best ways we identified to do that. Baron buff duration's going up a bit, in part to draw clear distinctions between it and the Elder Dragon buff (Elder dragon's around half the length, and on a longer respawn timer than normal dragons, so there shouldn't be too many cases of each team taking one of the two and then the game stalling until both are gone)." 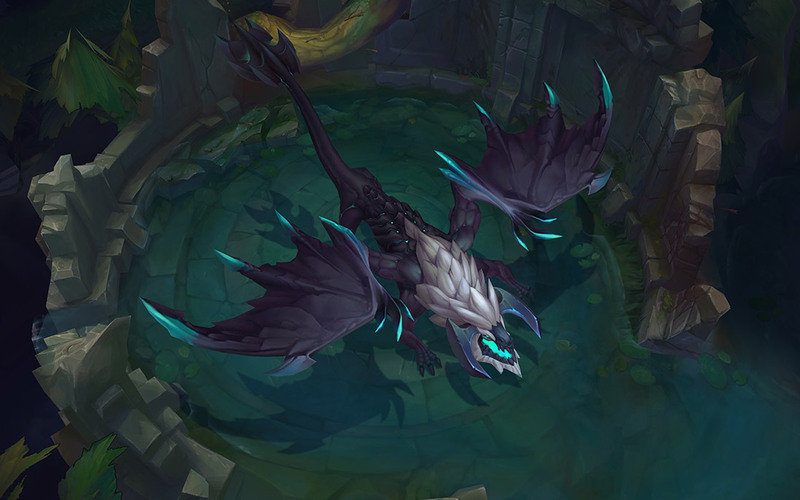 Below are individual PBE boards discussion thread for each of the larger mage updates! While not complete change lists, these offer an overview of the specific change changes! Now stacks up to three times, but does less damage per stack. When it reaches max stacks, it becomes unstable, detonating after 2 seconds in a massive AE. The blast deals big % max health damage and applies blaze to anything caught inside. Blaze gets really scary as the game goes on. Split up against Brand! The blast damage scales with Brand's level, maxing at level 9. It also scales with AP. After the blast, the detonating unit can't stack blaze again for 4 seconds. Stun duration to 1.5s from 2s, rankup damage down a bit per level. Cooldown now improves with level, costs less mana. Rankup damage reduced, cooldown improved. Prioritizes stacking blaze on champions -- so always prioritizes champions, and specifically tries to make as many bombs as possible. Blaze bonus is now a brief slow. He's playable now on PBE. I'll try to answer any questions you may have, good hunting out there!" Here's a thread where we can talk about what's going on with Cassiopeia in the 6.9 changes. I'll get right into the main changes. Do keep in mind that there may be small details missing, but I wanted to keep the thread about the primary changes. That said, I'm happy to answer any more detailed questions you may have in the comments! Cassiopeia gains MS per level, but she cannot buy Boots items from the shop. As of now, she has 328 base MS and gains 4 per level (including at level 1, so she starts the game at 332 MS without any other modifiers). Numbers retuned, but generally deals more damage than the Live version. Now gives a bit more Movement Speed at later ranks when hitting champions, but for less duration. Lightly damage enemies standing in them. Moderately slow enemies standing in them. Afflict Grounded (a new crowd control effect) on enemies standing in them. Miasma's slow is now a fixed amount (currently 35%) at all ranks. The Grounded debuff prevents enemies from using Movement abilities while in it. As a rule of thumb, if a root would prevent you from using an ability (or clickable like Bard E), then Grounded prevents it as well. Miasma casts at a FIXED DISTANCE (~800 range) from Cassiopeia; if the enemy has already closed on you, it's not going to do much unless you can position yourself near a wall to get a cloud or two to be placed there. Cooldown reduced to 0.9 seconds, and can go lower with CDR. If the target is poisoned when Twin Fang hits, Twin Fang deals additional base damage based on Twin Fang's Rank plus a medium sized AP ratio (~35%). 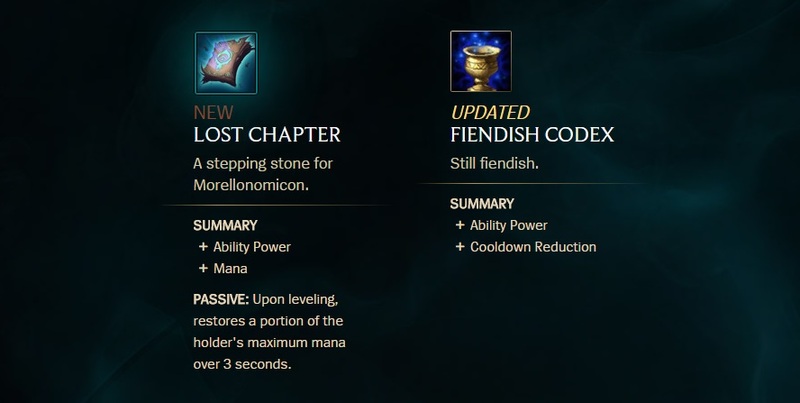 Now heals Cassiopeia for a flat amount based on Twin Fang's spell rank plus a small AP ratio (~10%) only when damaging an enemy that is poisoned. Feel free to speak up if you have questions. I'll check in and answer anything that was unclear in the coming hours/days. 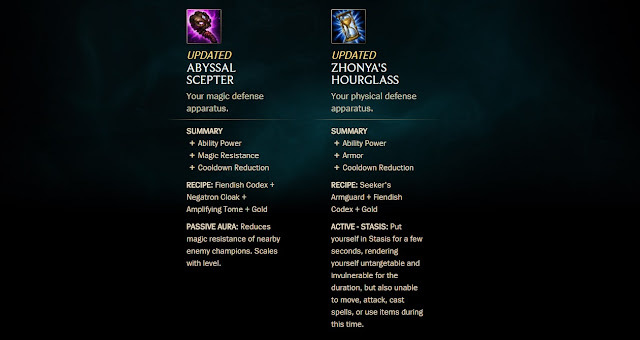 Here's a thread where we can discuss the Malzahar changes coming in 6.9. I'll start by just giving an overview of the changes, with probably a bit more depth on the bigger changes. When he hasn't been recently damaged or crowd controlled, Malzahar gains massive damage reduction and CC immunity, lingering for 1 second after taking damage or blocking a crowd control effect. Damage and silence duration reduced, but cooldown reduced by several seconds as well. On cast, summon a Voidling. If that Voidling kills a unit, or attacks a champion, large monster, or epic monster, another Voidling is spawned with the same remaining duration as the one that spawned it. New Voidlings are not summoned from existing ones with less than a few seconds remaining in their duration. When 3 or more Voidlings exist at the same time, they all gain 100% Attack Speed. Voidlings' attacks deal a percentage of Malzahar's Total AD as physical damage plus magic damage equal to a percentage of Malzahar's AP plus a base amount based on spell rank. Voidlings prefer to attack enemies affected by Nether Grasp, followed by champions affected by Malefic Visions, followed by other units affected by Malefic Visions, followed by the nearest visible enemy to them. Note: Voidlings no longer react to Malzahar's auto attacks. I know some of you will be upset by this, but I cannot make them strong if they are simply always attacking exactly what you want them to without opponent play available. You can, of course, get around this by using Nether Grasp or Malefic Visions on priority enemies, or also by positioning yourself such that the Voidling is closest to the enemy you want it to attack. Note: Voidlings no longer have a leash/returnTP range. Historically, Voidlings would leash back to Malzahar if they ventured too far from him, and they would teleport to him if he teleported. This is no longer the case. Voidlings gain 100% Movement Speed when chasing enemies affected by Nether Grasp or Malefic Visions. Voidlings gain Health per Malzahar's level, not Void Swarm (W)'s spell rank. Deals less damage than Live, but also has less of a cost and restores a percentage of your maximum Mana rather than a flat amount. 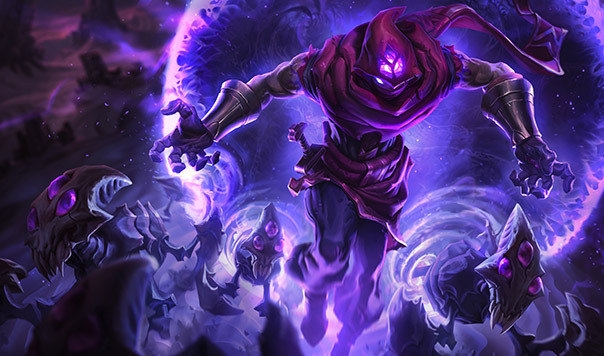 Now additionally is refreshed on the target if Malzahar applies Call of the Void (Q) or Nether Grasp (R) to the target during the visions' duration. Old Null Zone has been moved here, so now Malzahar locks an enemy down and creates the Void pool beneath them, which deals damage to enemies standing on top of it. Per old Null Zone, this ability now deals percent Health damage. Walking up to someone and E>R-ing them is not going to be big burst on squishies anymore. That should do for now. This certainly isn't a list of every exact detail, but that's mostly available in game on PBE or with data scraping. I'll check on this thread later to answer any questions you guys might have. Please post any relevant Vel'Koz discussions here! I'll be frequently monitor the thread and try to respond when applicable. 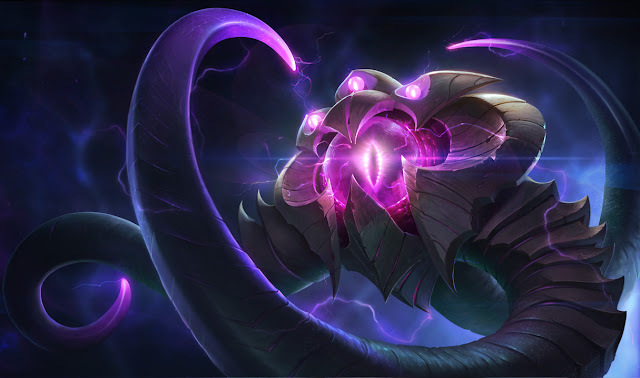 We want Vel'koz to come out of this as a uniquely target agnostic mage who is happy to shred through tanks and squishes alike - but gated by his reliance on hitting multiple spells and the fact he is quite vulnerable himself and needs to channel his ultimate. We also want more aggressive Vel'koz laning with Q max rather than W spam (thought W spam is okay if you are getting mercilessly shoved in or otherwise cannot interact with the opponent). We are happy to support both Mid and Support playstyles, but the focus is primarily on Mid. This is a fairly light set of changes, but we're pretty confident it will open up a unique space for Vel'koz in team compositions, especially allowing him to succeed in games against extremely tanky opponents where other mages would not. Basic Spell’s (QWE) Deconstruct units on hit (7s). R no longer applies Deconstruction. 3rd spell hit consumes the Deconstruction, dealing (25 + 10*Lvl +40% AP) bonus true damage. Passive: 3 Hit proccing Deconstruction on Champions become Researched for the next 7s. R Deals True Damage vs Researched units instead of Magic. "Hey Vladimir fans (and other concerned parties)! Vladimir’s Q has always been his bread and butter ability, and we wanted to keep it that way, so we did! The main difference: as Vladimir siphons his opponent’s life force, his craving for blood grows until it hit’s critical mass, frenzying him for a short while. Beware the Crimson Rush, if you approach Vladimir in that window, he’ll find himself with more of your blood than you yourself have. Vladimir gains a burst of speed and for the next 2.5 seconds Transfusion deals 100% increased damage and heals for an additional 50+15/lvl plus (0.025)AP % of his missing health. Tides of blood is thematically interesting, but the ability has never really lived up to it’s promise, always feeling a bit soft and unsatisfying. Now, at a significant health cost, Vladimir can truly make his presence felt in a fight, unleashing explosive novas of blood (if he can manage to pay for them!). 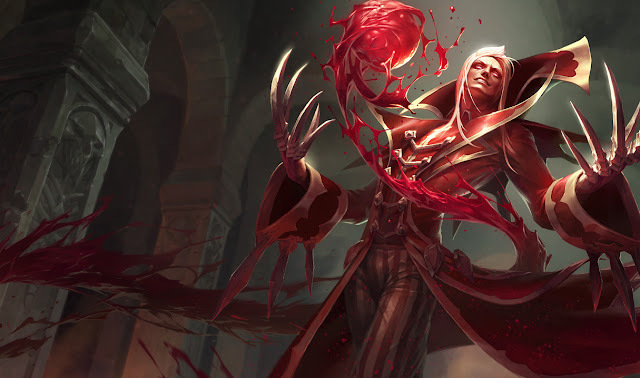 On release or after 1.5 seconds, Vladimir unleashes a nova of blood, dealing between 30/40/50/60/70 (+0.025 HP)(+0.35 AP) and 60/80/100/120/130 (+0.1 HP)(+0.7 AP). A strategically interesting ability that had the same pitfalls as tides of blood -- it’s cool in theory, but could be pushed further. 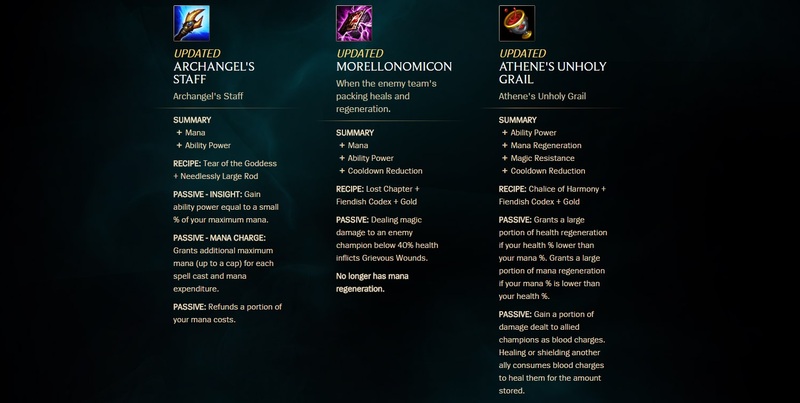 Now, Hemoplague’s detonation will heal Vlad for each champion hit. If Vladimir can survive the initial chaos of a team fight and tag several champions with his ult, he’ll rise gloriously from his Sanguine Pool, revitalized with a second wind and ready to drain whatever life is left from his opponents. Hint: W can be cast during E.
Vladmir’s laning phase is more interactive now, so he doesn’t need the artificially low combat stats he’s been cursed with early on. And I’ll leave it at that for now! I hope you enjoy our changes to Vlad, and either way I look forward to hearing your feedback. Seeds spawn around Zyra periodically, becoming faster with level and lasting 45 seconds (Max: 8 seeds planted). If an enemy Champion steps on a seed, it dies. Cast Deadly Spines or Grasping Roots near seeds to grow plants. Extra plants striking the same target deal 50% less damage. Spells show Zyra which plants they will grow at time of cast. Periodically spawns two seeds at the same time, though it won't place them close together. Individual plant damage down some, plant health down to two ticks (W now has a passive to improve it). As live Q, but updated VFX and a rectangular shape. Grows plants outside the damage area like Grasping Roots does. Mana cost reduced, damage reduced slightly. Constant vision / vision on squish removed. Enraged plants gain a flurry attack for 150% damage instead of +50% attack speed. Let me know if you have any questions, I'll do my best to answer them!" Please post any relevant Annie, Fiddle, or Veigar discussions here! I'll be frequently monitor the thread and try to respond when applicable. And as a reminder, please post bugs in the Bug Mega Thread! Goal here is to help with both her execution on fantasy (the bear isn't just for show) as well as game health (we don't want to hide information vital to counter play). Pushing power from the initial AoE Burst towards Tibber's persistent power on the battle field. Hopefully we've done significant improvements to his usability as well. This is probably the most valuable point of feedback here - let me know if there's anything you think Tibbers should be doing/isn't currently doing correctly in response to your commands as a player! Tibbers gains +275% attack speed and +100% move speed decaying over 3 seconds: on summon, when Annie dies, and when she stuns a champion with Pyromania. Looking to create some cool gameplay within his passive space, which previously was (essentially) just hidden power. New passive: Fiddle gains Dread after not moving for 1.5s. Immobilizing CC resets this timer. Dread lasts for 1.5s after he starts moving, and grants him 25 / 30 / 35 / 40% movespeed. (Levels 1/6/11/16). 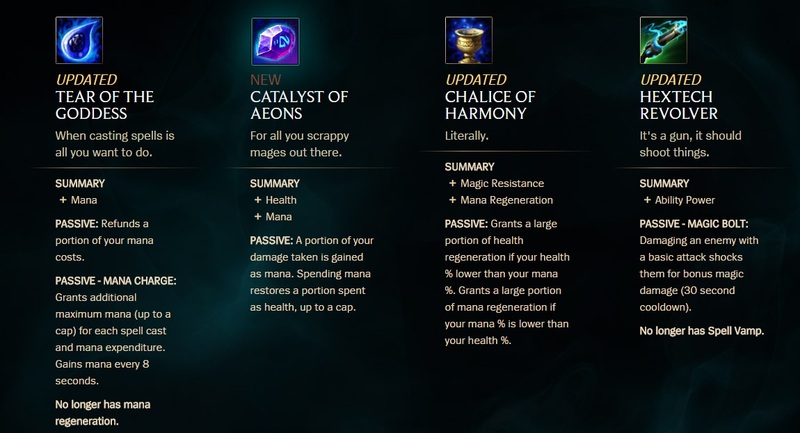 Looking for some improvments towards "I don't have a cc so he is just going to back to back drain me forever"
Like Fiddle, also looking for a more interactive passive, and clarification/game health adjustments on the ultimate. No, we don't think you should feel terrible for building AP on an AP champion when you are playing against a Veigar... Nor do we think Veigar should be happy with just flash Ulting you from full health. New passive: Hitting Enemy Champions with a spell grants Veigar +1 stacks of Extreme Evil. Takedowns grant +3 stacks. Each stack grants +1 AP. Damage rescaled from 250 / 375 / 500 (+100% AP) >>> 175 / 275 / 375 (+75% AP) to 350 / 550 / 750 (+150% AP), increasing based on target's Missing Health Percentage. This scaling caps out against targets below 33% Health. -Improved damage display type on Q2 to better differentiate it from the pass through damage. Impact damage display type. 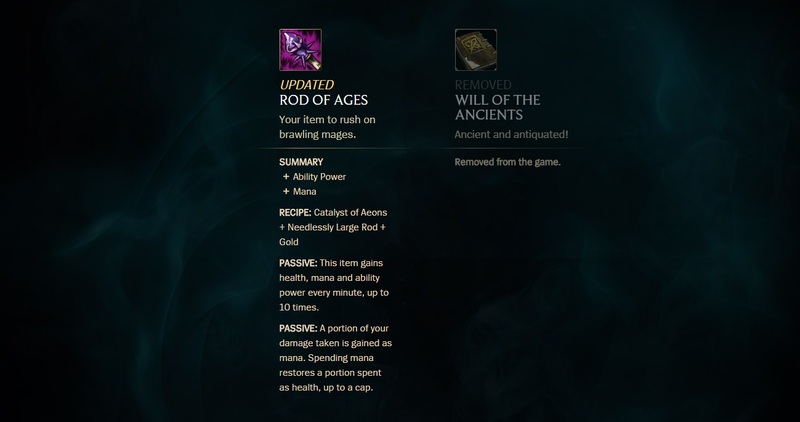 -At max size, damages and slows by an additional 50% and Chills for 2 seconds"
With removal of Devourer, big changes to Guinsoo's rageblade!